Fridays are a great time to pull together all those little snippets that aren't big enough to be a whole post and share them in one spot. They are the fragments of the week, and this is Friday Fragments. Fridays are also a great time to participate in the new Friday Follow. It has been revamped and updated. ~Jelly Belly. The best jelly beans ever! I get the assorted pack where all the flavors are mixed together in their yummy-ness. This works great until I come across the pear flavored one! YUCK! I don't understand how two things that are so wonderful, pears and jelly beans, can be so awful when you mix them together. I mentioned this on twitter after eating one of these offending "beans" and had a friend inform me that she is committed to only eating the pear ones. I think from now on I should just pull out all the pears and send them to her, because I am on the lookout for them now! There is nothing worse than following a wonderful toasted marshmallow with pear. A mistake I don't intend to repeat. That makes me want to pick a different road! ~Meme. How do you say it? Is it "Meem" with the long e's? Or is it "MeMe" (like a toddler, "Me Me!")? Or is it "MehMe"? I can't figure out how to say it. Am I the only one who wonders this every time I see this word? ~Talking about Memes or carnivals, my wonderful blogging friend Angel won What I Meant To Say Wednesday in a raffle to support a baby with cancer. Have you ever had something to say but held your tongue because little ears were around? Have you ever had one of those moments where you were searching for the perfect comeback, but just couldn't think of one until hours or days later? This is your chance to get that out. Tell us all what happened and what it was you meant to say! Link up with her and Brittany on Wednesday and share. I can't wait to read all your scathing thoughts! See that? The Cards are on the alcohol aisle. Coincidence? I'm not so sure! ~Up there ^ is a banner for Fluttering Designs. My friend Vanessa's Etsy shop. Go check it out! I don't get any money for sales that she makes or for clicks on that banner, but part of the proceeds do go to the Angela Shelton Foundation, which is close to my heart.....and the jewelry is awesome too! ~While typing this, I am watching Jerry Seinfield on "Watch What Happens Live" talking about the Real Housewives, and I am kind of loving it! He is clearly not a Housewives fan....or an Andy Cohen fan.....or a Bravo fan. I'm not sure why he is even on this show. ~This leads me to a commercial that is now on (aren't you loving this walk through my television night?) Bethany is getting her own show called "Bethany Getting Married?" < ------ What is that? The question mark. Are we supposed to be pretending that she hasn't already gotten married until we see it on the show? I know she is married because I saw it on CNN months ago! It is done. She is married. Loose the question mark Bravo. It's just dumb. ~I've got a guest post going on at Curiosity today....all about children and leashes. ~Pull together your fragments, go follow some new blogs, and have a great start to your weekend! Peace! Happy Friday! Following you from the New Friday Follow! So cracking up at the alcohol/card pic! I am loving this post!! You crack me up! Thanks for the follow! I am returning it now!! Oh my, I love, love, love the pear ones! My mom once bought me an entire bag of the pear ones. I can understand where you are coming from though, I hate, hate all the coffee type flavors. Blick. i'm thinking the cards are there because of the alcohol... not the other way around. does that make any sense? yeah. idk either. congrats on your mini sits feature! I also don't know how to pronounce it. Me Me? Meem? MehMeh? Congrats on your mini-SITS day! I just say Me-Me lol. OK, so speaking of linking parties, since you're my SITSTAH and all, would you please come link up to my first linky party?! It's Fabulous Friday and it starts today! following now! That road sign was just TOO funny! This is really fun! It is kinda like we were on the same wave length tonight. My friend calls her Fridays Random Randomness. 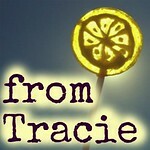 Have a great weekend Tracie and thanks for taking the time to check out my world. Too funny! I have no idea how to say meme, so I just don't. :) But when I think it in my head it's meem. Happy SITS feature day! 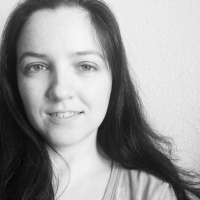 Following your blog, come follow mine and say hi! Happy New friend Friday! Just found you on SITS. Love the Friday Fragments - neat idea. No, you are not the only one who wonders about how to say "meme." I try it out different ways in my head - still not sure. Congrats on the SITS Friday Potluck! Followed you from Friday Follow!! Congrats on being featured on SITS!! Have a great weekend. love the road sign! new follower! A wine to go with the card you're having trouble picking out? Funny! I looked it up a while ago. It's pronounced meem as in cream. Bet you're glad I stopped by. Hey! I love the new SITS Friday feature - I'll get to meet more funny bloggers like you! Tracie this post made me smile, which I needed!! I also wondered how you pronounce the MeMe word. Dear one, thank you for sharing and being real. Blessings. I love the you were featured on SITS! Your fragments are wonderful. The right jelly bean is really important. I love peach. It's MEEEm, like dream. We learned that at Bloggy Boot Camp in Baltimore. Go SITS girls for teaching us important stuff, like who the coolest bloggers on the planet are. Nice to meet cha! Love the Fragment Friday idea. Thanks for sharing. So glad I am not alone on the "meme" part. Happy Friday! I pronounce it Me Me since they are usually about oneself. Very funny. Especially that greeting card/alcohol point, I think you're spot on. And I love almost any flavour jelly belly - especially marshmallow, yum. I think they put the selection of cards opposite the alcohol on purpose, especially if the card that you are getting represents a celebration, you'll have to look no further for the celebratory champagne or wine. I found you over at SITS! Dropping by from SITS. That is too funny about the greeting card aisle being by the alcohol. And I love that sign. Um, yea, I didn't know I wasn't supposed to park on the railroad tracks. Thanks SO much for reminding me. hi there, hope you enjoy your little day in the sits sun! love the meme that's what my oldest came up with for my mother in law's name as a toddler and 22 years later it is still the same! Right with you on the pear jelly bellys being yuck! Have a great weekend. I think I've heard Meme pronounced "meem," but now I'm wondering if that's just the way I've told myself it's pronounced! Following you through the new Friday Follow! Come check out my blog and follow back if you get the chance! Have a great weekend! I'll take your black licorice jelly beans if you don't want them! Holy Cow Girl...I think you are on to something with the Greeting Card Placement, although that's NOT where they are in my grocery store! I always lurk in the alcohol aisle because they have great Rebates...usually on meat...and in my state you don't have to actually BUY the alcohol to get the rebate! Happy Sits Potluck Day to you!! If it's on the internet, it must be true. I think I'll go with Me Me in my head. :) Sounds funnier to me. Love the links at the bottom for sharing your posts - so sleek and fun! I'm ok w/ the pear jelly beans, just not a fan of the lime ones! Love most Jelly Bellys but in 'regular' jelly beans I pick out all the black one - yum!! The road sign would make me want to turn around! 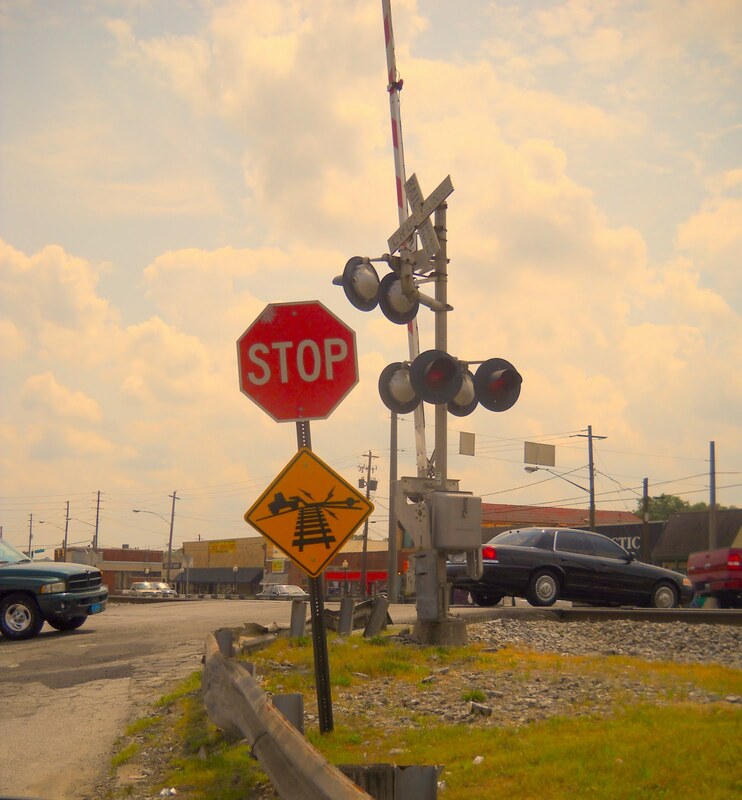 What happened to plain old railroad crossing signs? Love that the wine and cards are in the same place. In my grocery store, the cards are with the carbs near the bakery! Perhaps there is a reason to their madness after all! Oh, I read somewhere that meme is pronounced so that it rhymes with "theme," but I have no idea whether it's correct or not. I think it's a total coincindence that the cards/alcohol are next to each other, and just realized it's the same thing in our store as well! Swinging by from SITS - congrats on your day! That's funny. I must have a high opinion of my vocabulary skills because I automatically assumed it was pronounced meem (rhymes with seem) and assumed I had to be right! Ha! Now Jelly Bellies, I'm gonna have to part ways with you. Can't stand them. Primarily because I HATE eating sweet with food-flavors. Like I have a nice cotton candy in my mouth and get a ... I don't know ... broccoli. Or salisbury steak. Yuck. I love this ramble! It's like having a chat with my girlfriends. The sign thing made me laugh. I saw one yesterday on a road in NC that said, "Don't feed the bears." Seriously? Do we have to tell adults not to pull over on the road to feed bears? Who would actually do that? They're bears, not like ducks in a pond, or chipmunks or squirrels or some other animal not capable of killing you. Plus, it was along the "Alligator River." Who would pull over along that road, anyway? I'd take your pear Jelly Bellys. I love that flavor. I don't like the coffee flavors though so you can have those. And I'm not a fan of butter popcorn either. Blech. Stopping by from SITS. I haven't read all of your comments, but from what I understand, it's pronounced "meem". But I hate that. LOL I say "me me". I love your fragments! I collect pictures of random things tha I find funny and they bring a laugh when I review them once in a while. haha I love the road sign! I would want to turn around too!!! Congrats on being featured on SITS!!! I buy the huge thing of jelly bellys from costco and throw up if i eat a buttered popcorn, caramel corn or black licorice one. I have to carefully check what's in my hand. stopping by from follow friday!! I love the picture of the greeting cards and alcohol. Grocery stores do such random things. Congratulations on being featured on SITS today! I think that our grocery store has cards and alcohol on the same aisle...never paid attention to that before! I say "meme" like "mim"...don't know if that's right. It's not like you ever hear anyone say it! Thanks for being part of Friday-Follow this week. Great post! Stopping by from SITS. For the longest time I wondered what a meme even was, I *think* I got it figured out. I always assumed it was pronounced me-me. Ok, the railroad sign is just awesome! and memes...I blog with my husband and so we are all about being our own rebel selves. but I do read others! Found you through SITs and I'm so glad I did! This was hilarious, and I agree, Jelly Belly's are the best. I love the sour ones, but there is one flavor (I can't remember which) that when I bite into it I gag. And I've heard (well, read) that you pronounce it like it rhymes with "theme". Ha on the train crossing sign.. and roflmbo 2 the card /liquor placement..do they have any honey I got drunk and saw this card and thought of you ones?? I like to take a handful of jellies and pretend it's a mini gourmet meal. Sometimes this goes very, very wrong. And I believe that there should be a liquor aisle across from whatever purchase I need to decide on. Even at Target. Or Baby Gap. Oooh, I really like your blog! And how perfect - the wine by the cards - I have never seen it that way before. I will have to check out the Jerry Seinfeld comments on Real Housewives. I've been watching the New York one, and my goodness it has been full of drama and craziness this season - WOW! I have always wondered how to pronounce that word too! And now, I'm sure greeting cards next to the booze was a strategic decision on the part of some emotionally scarred grocery store manager. In fact, I'm certain of it! Following from Friday Follow me. Glad to have found you! I have never heard of the Bethany person you are talking about, but it is always weird to me watching a show when you already know the outcome. I don't seem to watch much reality TV these days though. I'm one of those nuts that can sit & read cards for HOURS... & laughing VERY loudly the whole time too! Meme... I'm still not even sure what it MEANS, much less how to say it! I'm here from SITS! I know what you mean about meme....it drives me crazy! That is too funny that the wine is on the card aisle! It's not like that at my store, but I guess it should be. There are so many cards about getting drunk these days. It makes me crazy! Love the housewives. My husband thinks it's all ridiculous, which it really is because none of those women are really housewives. I guess no one wants to watch the true reality of a housewife. Congrats on the mini SITS feature! Love the Friday Fragment idea! I think I need to watch more Bravo. I love nothing more than being utterly confused with mixed messages. Came by to say hey from SITS. LOVE the card aisle placement. So perfect! Toasted Marshmallow is my fave flavor of Jelly Belly Jelly Beans, but I did just get a pack of Stone Cold Creamery (ColdStone, I know, I just can't help myself) flavored ones and they were YUM! hi! stopping by from SITS! I agree with you - buying greeting cards is so difficult! I can't go with my husband because I take too long - most of them stink so I have to search for the very best of the not so good. Or else, I spend too much money on beautiful ones. It is funny that they are placed right by the alcohol. Grocery store placement is never by accident! I've never seen that roadsign, but I love it! I got the same impression from Seinfeld--I really think his agent must have told him something strange to get him on the show when I caught the last 10 minutes or so. RHNYC is a total guilty pleasure and, yeah, I'll be DVRing Bethenny's show, too, question mark and all. I love random posts, I like to do them at least a few times a month on my blog as well! Stopping by from SITS! Happy SITS Potluck! What a fun post! Came here from SITS. Damn girl, you're funny! I've always wondered how to pronounce Meme too! In my head I pronounce it like you'd pronounce the name Mimi. Odd. Stopping by from SITS, have a wonderful weekend! Jelly Belly's are definitely the best jelly beans out there! And that sign - awesome! I found you through SITS and am now following for Follow Friday. Have a great weekend! That is too funny about the cards! Happy SITS Potluck day! In my grocery store, the cards are across from the baby stuff. Because obviously if you're there with a baby you have plenty of time to read and choose a card without saying "don't touch that" or "hands out of your pants" about a hundred times. Happy SITS Potluck Day from Casablanca, Morocco! Wow you have a lot of friends! I became a follower because I love the sign..I'd use a different road. I love the sign's that say beware of falling rocks. It is so hard to look up and drive straight. I am visiting from the fabulous Mrs.4444's FF. I hope when you get a chance you will stop by for a visit with me. I love fragments and sometimes I post that way on my blog. I'm usually negative when I do. Stopping by from sits to say "hi"! Dropped in from SITS. I have to agree about the pear jelly bellys but can't get my head around the toasted marshmallow ones either. Taste just like toast to me! I'm in the Atlanta area: I think that sign may even be near me... LOL: It means long vehicles (18 wheelers) can get stuck on the 'hump' of the rail road... caution! Yet twice I've seen a truck near that sign get hit by a train because this very thing happened. Visiting from SITS! Congrats on being featured in the Pot Luck!! :) You are too funny, I am definitely gonna have to read more of your stuff! I'm so glad you got chosen as one of the SITS Friday Potluck gals! You totally deserve it! Also, Meme is supposedly pronounced as if it rhymed with "dream". 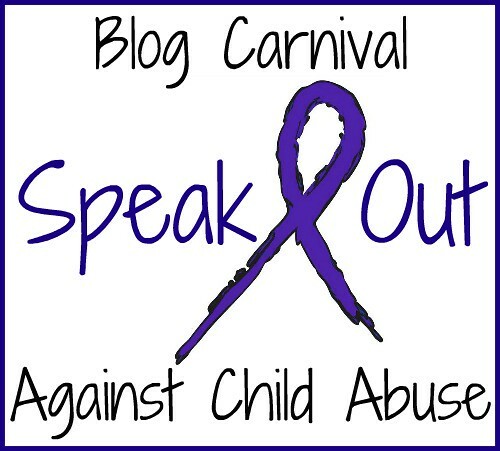 At least that is what Scary Mommy told us at Baltimore Bloggy Boot Camp! Hmm, I see it's meeeeem as in dream from one of your commenters above. But if the SiTS girls were teaching, I'm positive it's correct. Happy Friday! Funny post! I think it's pronounced meem. Found ya on the SITS site. Happy Friday! Stopping by from SITS. Congrats on being featured. Love the idea of Fragmented Friday. Funny you should write about the greeting card aisle. I stopped at a TARGET right after carpool this AM for the express purpose of buying a greeting card. What was the one section not available for purchase? 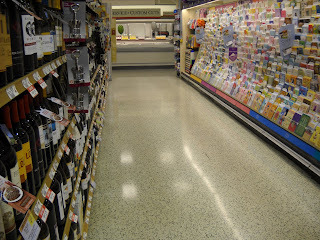 the greeting card aisle. It was being relocated and all cards were boxed up. Try to find another store open before 9AM to buy greeting cards! What were the odds? Happy Friday and congrats again. I'm sharing this Potluck Friday with you! Congrats on being featured. Yay for us! Ha! Happy NEW Friday Follow! I've always wondered how to pronounce meme too! LOL I'm following you now with both of my blogs. Stop by when you get a chance! Hilarious! I always question the placement of the cards at my store with the children's books...which forces you to agree to purchase one because you beg your child to look at them while your looking for the "perfect" card and then they beg you to buy it! Loving your randomness! Buy the wine, forget the card. You can always make one OR better yet send an ecard! Happy SITS Friday Potluck Day! Happy Friday Follow!I also try to figure out how to pronounce "meme" every time I see it. I like to pronounce it like meh-may, but I know that is wrong! The pear jellybelly's are pretty good by themselves, but they DO NOT mix with anything. Nothing. Squat. Nada. They are even wretched if you eat them after something else. I like your Friday Fragments idea, kind of like how my mind works too. Visiting via SITS today. Blessings! LOL about the Seinfeld incident on Watch What Happens!!! I thought it was just me but, he was clearly uncomfortable. I thinks it's no coincidence why they put aisles together :) Happy SITS day! I'm following and look forward to reading more of your blog. Well, glad to see I'm not the only one whose mind flips from thing to thing. Yoga only made it more obvious to me - my inability to focus on one thing at a time. Your insights are funny, and right on, too! Oops ... forgot to say I'm dropping by from SITS! Happy SITS Potluck Friday from Finland! I totally understand about the greeting cards. I'm a real person. Therefore the people I'm buying cards for are real people, too. They did not "make my universe spin into orbit." They are not angels in disguise who serve only to cater to my sense of well-being and happiness. Will someone please give the memo to Hallmark?? I'd like to find a card suitable for a mere mortal, please. Congrats on Friday Potluck SITS day! That's so cool! I think cards and alcohol together is fabulous. :) LOL! I don't buy cards anymore I make my own (and sell them) and it's just been easier. I don't like a lot of the canned greetings they put in there and I usually prefer to write something personal anyways. No, I can't pronounce meme either--can't we change it to an easier word?! That sign??? FANTASTIC. We need more fun signs. Just sayin. Hah! Totally understand the meme thing - I've never figured out the 'proper' way to say it! I was surprised to see Jerry chatting with Andy last night too Hmmmm. Have a restful Memorial Day weekend! Do they put the alcohol with the cards to sell more alcohol or more cards?? I loved the post on kids and leashes! I can't get the picture of that woman out of my head!!! I always have a hard time buying greeting cards. Congrats on being featured on SITS today! I am a closet Housewives fan. I never realized there was a ? mark at the end of the show title. I am now following you! Buying greetings cards is very hard sometimes! It can take awhile to find the right one for the right person! Thanks for flying with us on the new Friday Follow. I've been following you now. So glad to have found you. Happy SITS day! Loved ready your fragments! I was just trying to think of a way to put together random things I was thinking...Friday Fragments it is!!! LOVING the Friday Fragments! Great idea! Fun blog -- I'll stop back! I feel the same way when I come across a cinnamon or chocolate flavored jelly belly. It's so strong that I can't enjoy the other flavors for several more beans. I have ALWAYS wondered how to pronounce meme! Have you figured it out yet? Hope you're having fun being one of the featured commenters! I always say it like Meem, with to long "e's"
I totally don't know how to pronouce Meme, either. I just always thing Me Me. Ha. Will we ever know? I'm enjoying the new Friday Follow me too, and the SITS potluck! I love Jelly Bellies! And I know what you mean about greeting cards, but I never buy them with alcohol (since I won't be 21 until August :) ). HOoray for Friday Potluck! great blog - can't wait to explore it further! come see how our wedding planning IS or ISN'T going! Love it! Happy SITS potluck day! Some very astute, and funny, observations. ;-) Congrats on SITS Potluck Friday. Well deserved. It's not just me. I hate card shopping. I hate the price of cards. You seriously made me crave Jelly Bellies. I might need to go get some. Happy follow Friday! Very funny! I'm a new follower through SITS. Love your fragments. Glad I am not the only one who doesn't know how to pronounce Meme. Haha! too funny about the cards being in the same aisle as the alcohol! Also, I have no clue about how to say "meme" either and have always wondered! Happy SITS Day! Haha I love the housewives comment and the fact that Jerry Seinfeld was a guest on "watch what happens live." Stopping by for Pot luck Friday at SITS! Love your Friday tidbits. Great idea! As for the meme, if it is referring to a grandma (memere is french for grandma), then it is pronounced "Meh-may." That's what my boys call my mom! If it isn't the word for grandma, then you got me! Stopping by from SITS...Congrats on being chosen for the new Friday potluck! So glad to share Potluck Friday with you! That was a really fun read! I love jelly beans too, but I'm strange about the mixed bag of flavors-one might say too picky. As for your greeting card observations...hmm, I'm going to check out our grocery stores! Never noticed that before about the greeting cards and alcohol - hilarious - stopping by from SITS - happy Potluck day! I wonder the same thing about Meme's. I always just pronounce it Me Me like pick Me, pick Me. But it is only in my head because I do not read outloud. So if I am pronouncing it wrong, no one knows but me. Well, now all of you... oh well. So, who can tell us if we are saying it right? The street sign by the RR tracks. OMG! I would turn around too! Happy SITS Friday potluck. 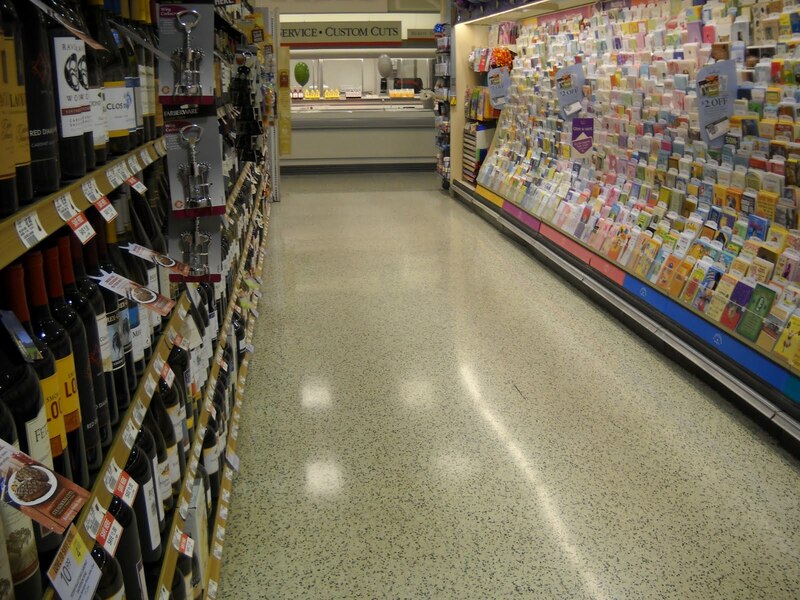 The greeting card aisle by the liquor. Hmmm....interesting. Card buying truly is a drama. It took me an hour to pick out one graduation card for my cousin & I was only able to find one because Target carries some Papyrus cards now. Whew. I always thought it was cutsie for memo. Is that wrong? Is it actually pronounced me or mimi? What exactly does it mean? Embarrassing to be out of the loop. You're funny. I think Meme is pronounced "Me! Me!" but that's just what I assumed. And yes, I've wondered. Stopping by from SITS and following! hmmm... meme, I've always pronounced it like it rhymes with "stem". I don't know why... I think maybe I heard someone say it at a blogger meet-up? Maybe that's something you could google. Google is as good as gospel. Checking you out, a bit late, from Friday Fragments. I looked up the word meme a few weeks ago and already forgot how to say it, but I sure do love them! BTW- I'm your newest follower! Pear-flavored Jelly Bellies are nasty. BTW, your promo for the What I Meant to Say meme was really well-written :) (And I pronounce it in the "French" way: mem. Your fragments are wholesome pieces to read. Happy SITS Day!